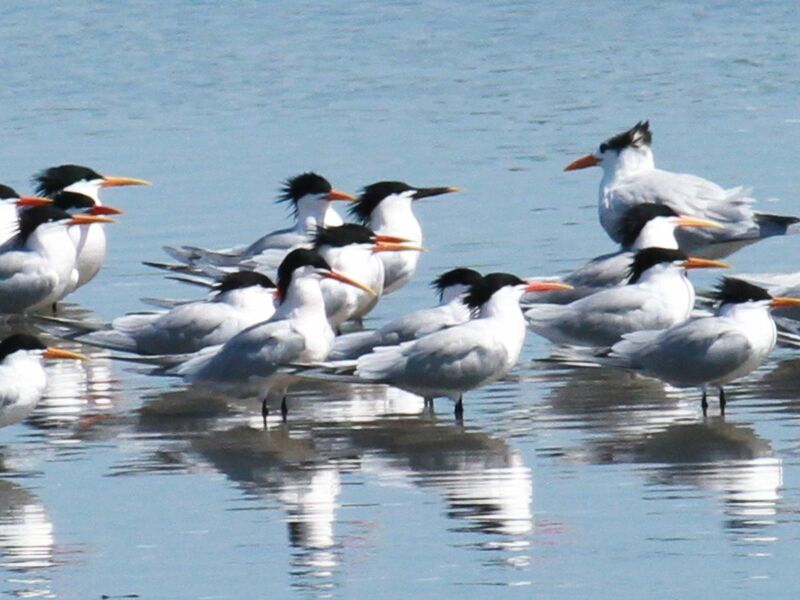 [All photographs copyright, Gary Nunn 2013] – I’ve been observing the growing “tern show” spectacle at the San Diego River flood control channel for a few days. Viewed from Robb Field in Ocean Beach the numbers peak late morning and late afternoon. Numerically dominated by Elegant Tern, there are also good numbers of the stocky looking Royal Tern, and a handful of demure Forster’s Tern nervously putting up with the racket. Spooked by raptors – Osprey, Merlin, and Peregrine all made a pass – the noise from the erupting 400-500 Elegant Terns is pretty intense right in front of you viewed from the bike path. 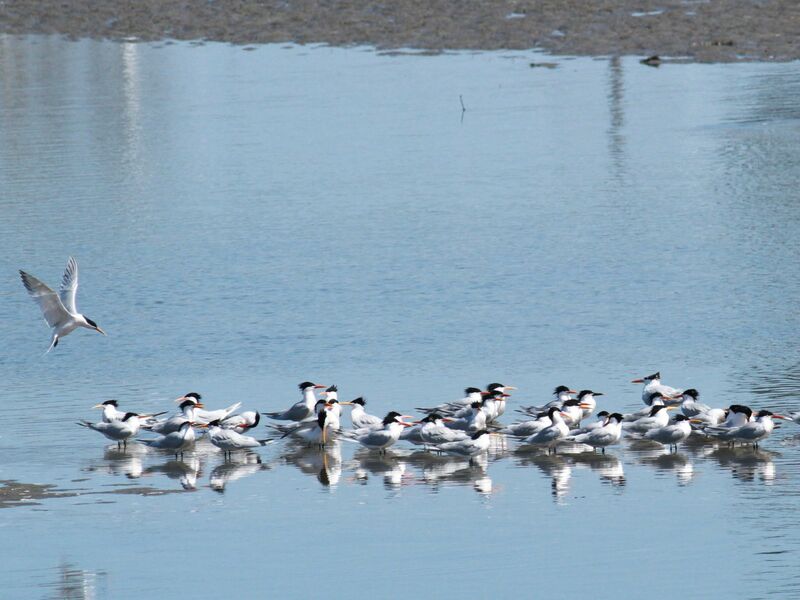 But my main reason for visiting twice a day was to look for terns with dark bills. After photographing several Elegant Terns with “parti-colored” black marked bills I finally hit upon a serious candidate for an American race of Sandwich Tern Thalasseus sandvicensis acuflavida. This species of tern is headed for radical taxonomic changes and we will all, most likely, know it as Cabot’s Tern by year end. 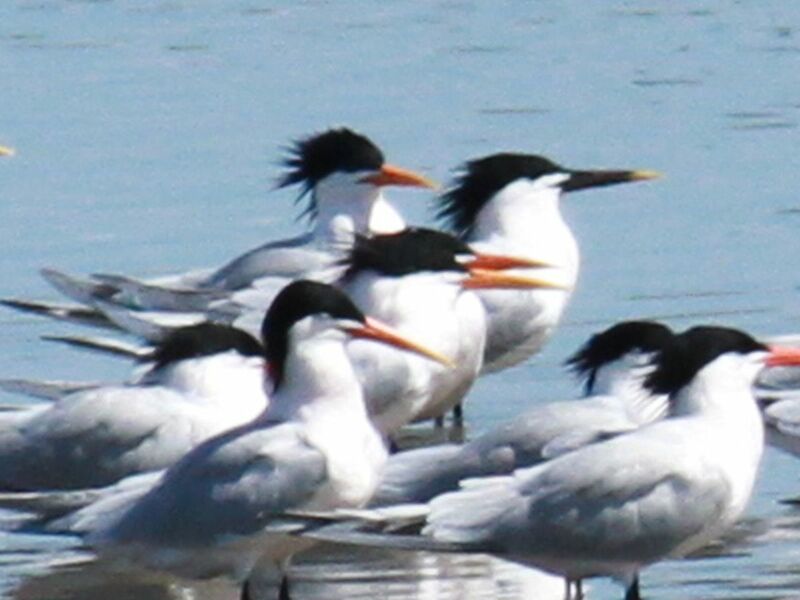 Recent research has shown that the North American acuflavida tern is virtually indistinguishable genetically from the Caribbean-South American eurygnatha tern known as Cayenne Tern. This makes a lot of sense considering the mixed breeding colonies of these two forms known in the Southern Caribbean. What we know as Sandwich Tern in North America is actually not most closely related to the nominate sandvicensis tern from Europe. Nineteenth century taxonomy was actually pretty good in many respects and it looks as if, based on precedence, we will again be using the delightful patronym Cabot’s Tern, which will comprise the New World nominate acuflavida (black-billed) and the southern eurygnatha (yellow-billed) forms. Interbreeding of these two forms at breeding colonies, and the myriad black and yellow bill color patterns produced, will be the subject of another post! [All photographs copyright, Gary Nunn 2012] – Sometimes there are just magic moments birding. 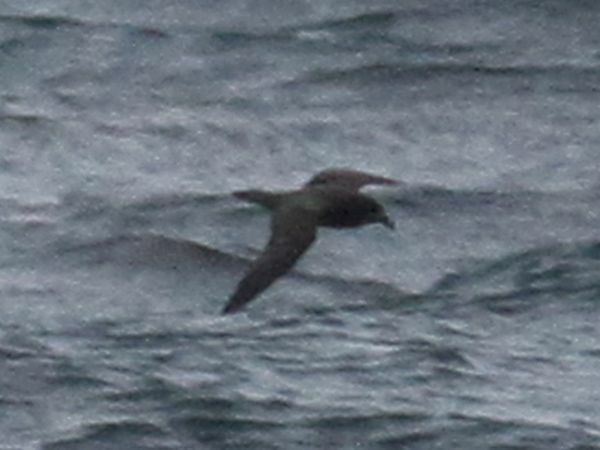 Today I was thinking it was all so ho-hum when along came this beautiful sooty-brown tubenosed seabird making agile sweeping arcs in flight over the kelp beds of La Jolla Cove. I took one look at this bird making switchbacks in front of me and new immediately it had to be photographed!! 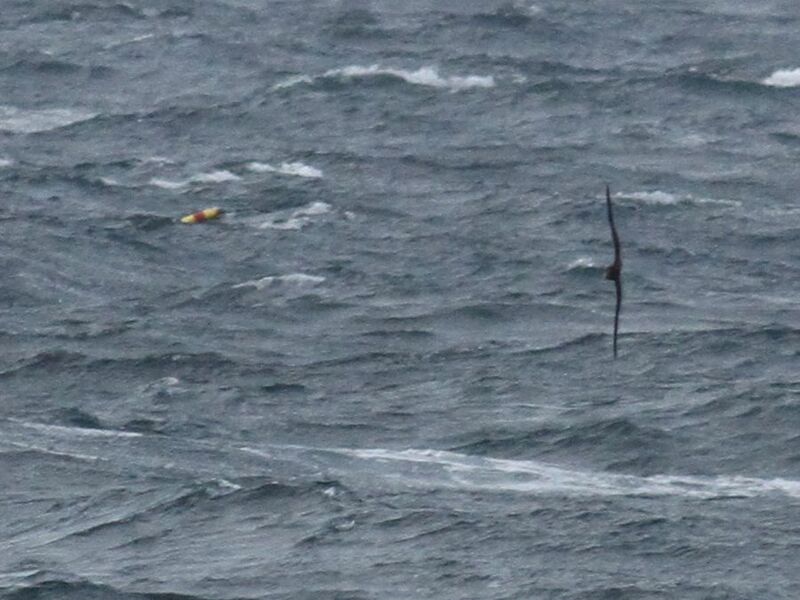 Close examination of the photographs reveals this is a Great-winged Petrel Pterodroma macroptera. 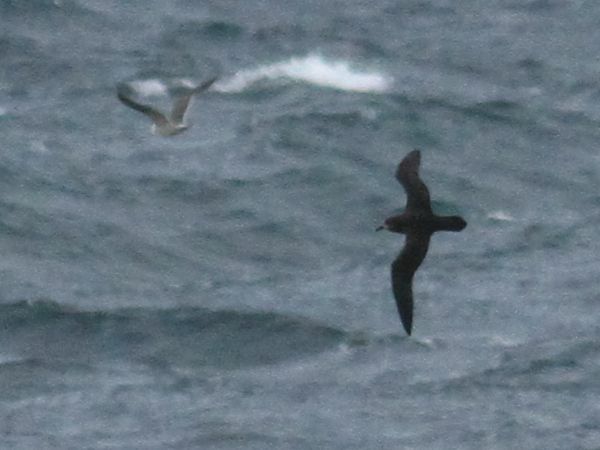 It can be distinguished from the closely similar Providence Petrel P. solandri (also known as Solander’s Petrel) by the fully dark underwing including completely dark underside to the primaries and underwing primary coverts. 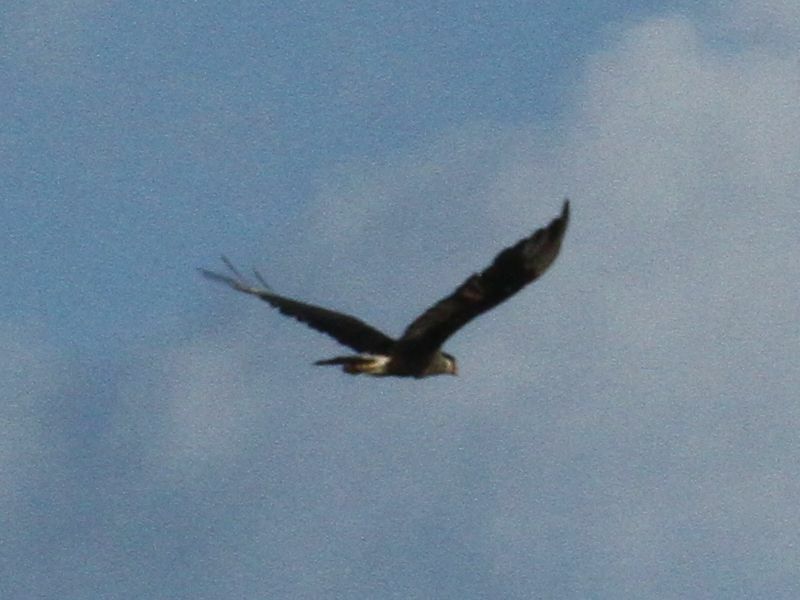 Other distinguishing features include the saber like wing shape, bulky “fat” medium length wedge-shaped tail, and the overall dark brown concolorous plumage except for the pale peppering around the bill base. 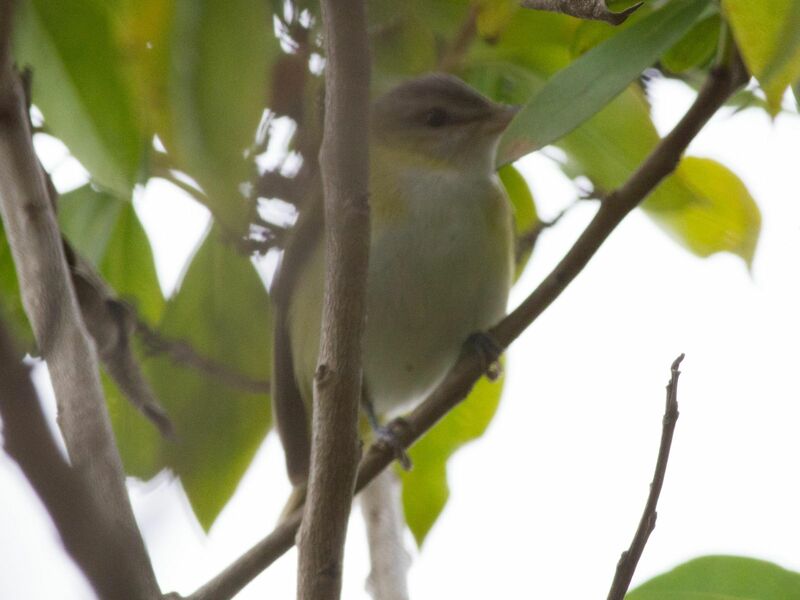 The strong black bill is also noticeable. 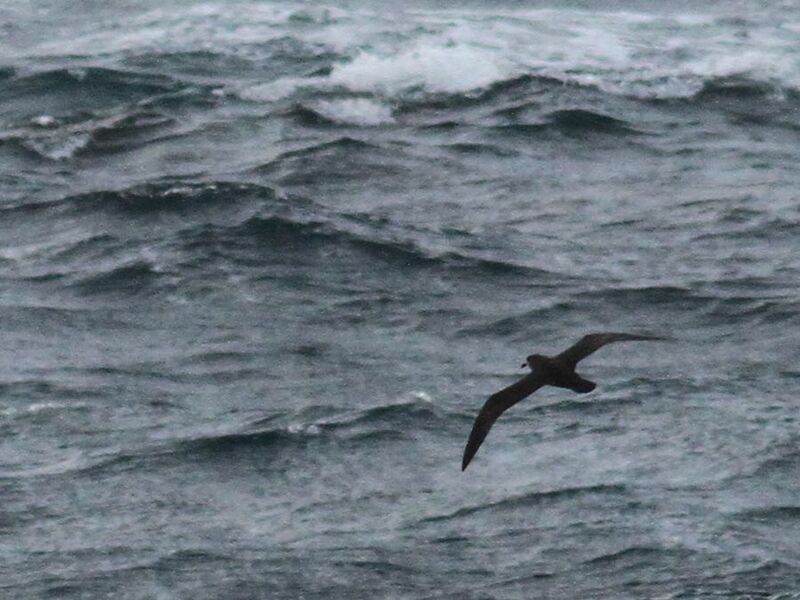 This bird flew in agile, graceful high arcs interspersed with slower wingtip touching the water style flights. 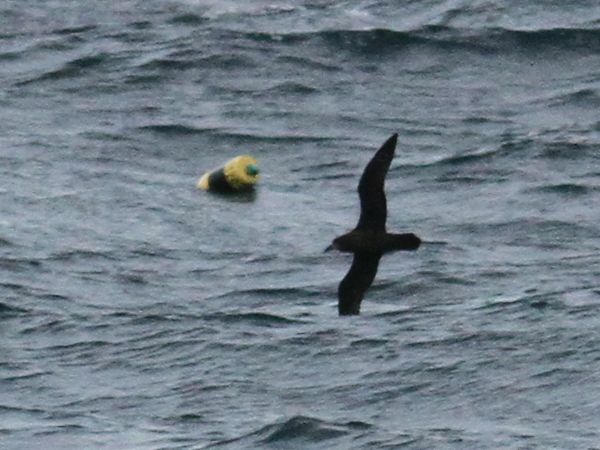 It circled several times among other birds collected over the near shore kelp bed before disappearing to the south. Based on time stamps from my 118 images it was in view for less than two minutes! All photographs below are shown without adjustments to original color or contrast. 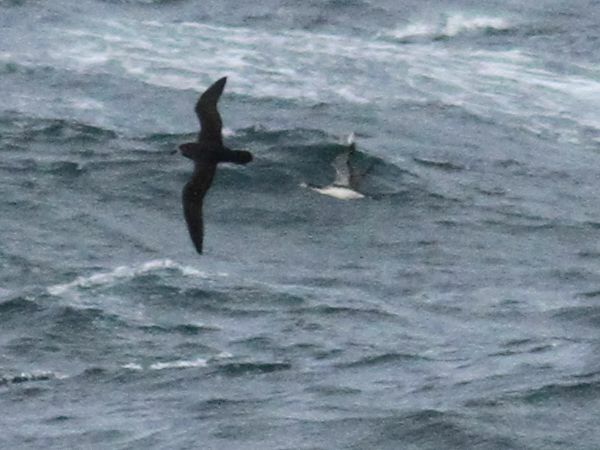 There are currently five accepted records of Great-winged Petrel in California with another one under consideration, the nearest to San Diego coming from Monterey County in 1998. 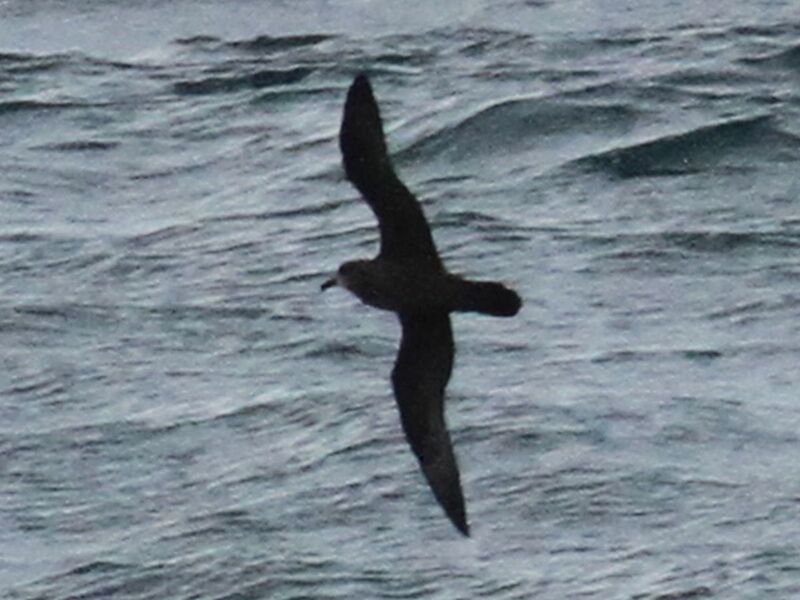 Great-winged Petrel was seen as recently as September 2011, pending acceptance by the California Bird Records Committee, from a Half Moon Bay, San Mateo County pelagic run by Debi Shearwater. 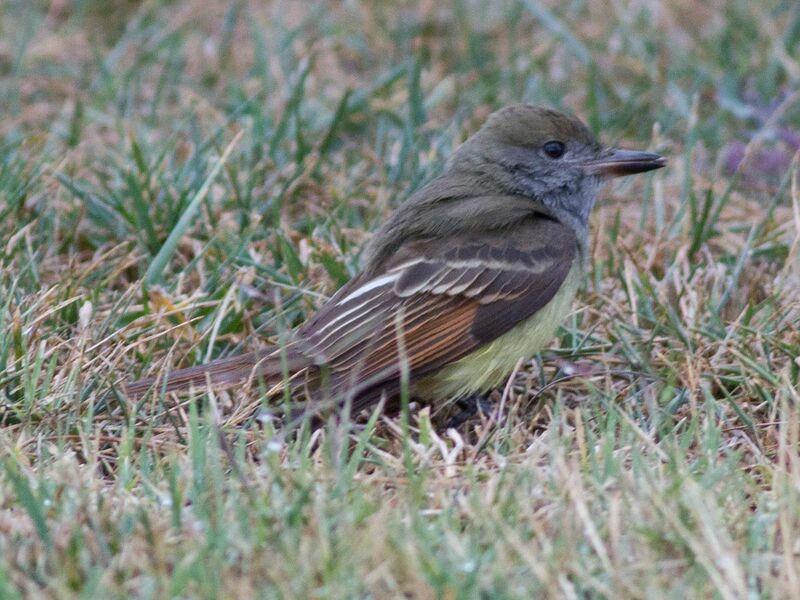 This bird would seem to be somewhat later than previous California records which occurred during July through October. 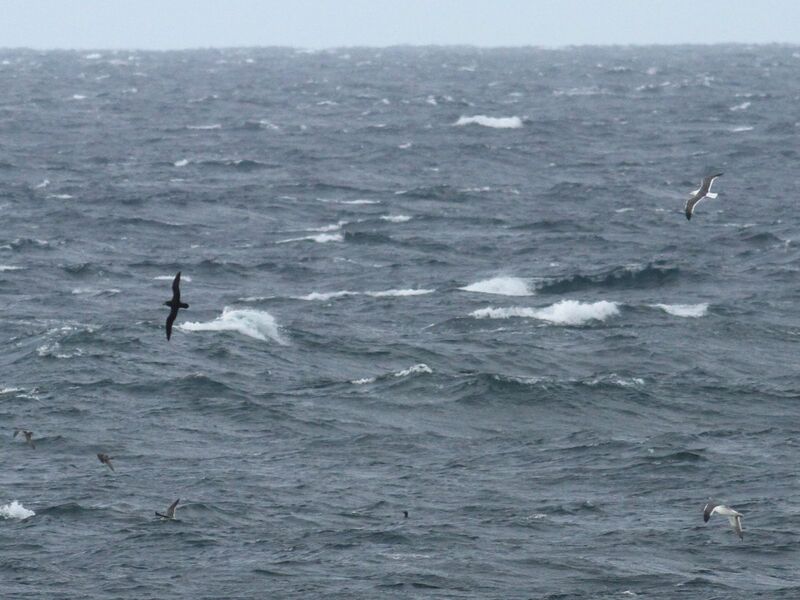 The pale peppering around the bill base, in particular the chin, may indicate this is a form of Great-winged Petrel known as “Grey-faced” Petrel P. m. gouldi although juveniles of the nominate macroptera are noted as having pale feathering of the face also. 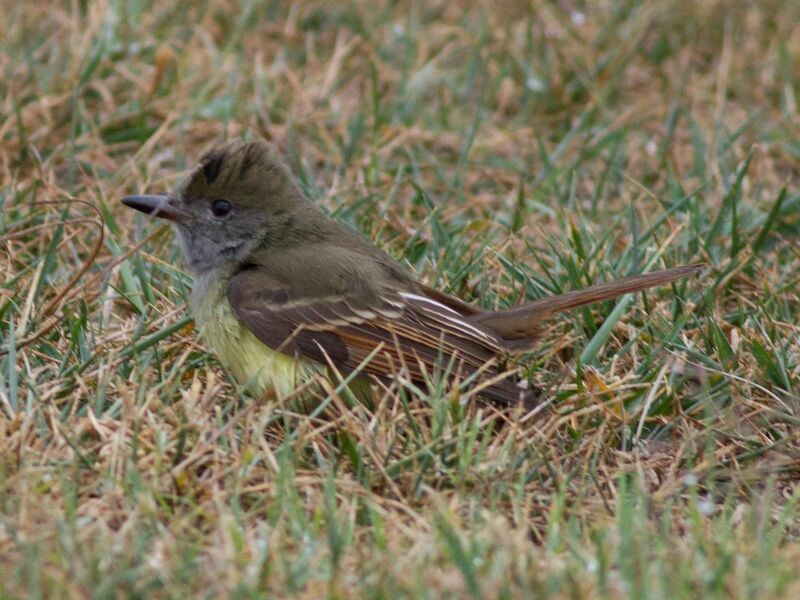 Certainly the gouldi form has been positively identified in California previously and this bird could well be that form also. It seems most likely this is an adult bird because juveniles are only leaving their nests in the Southern Hemisphere in early December. 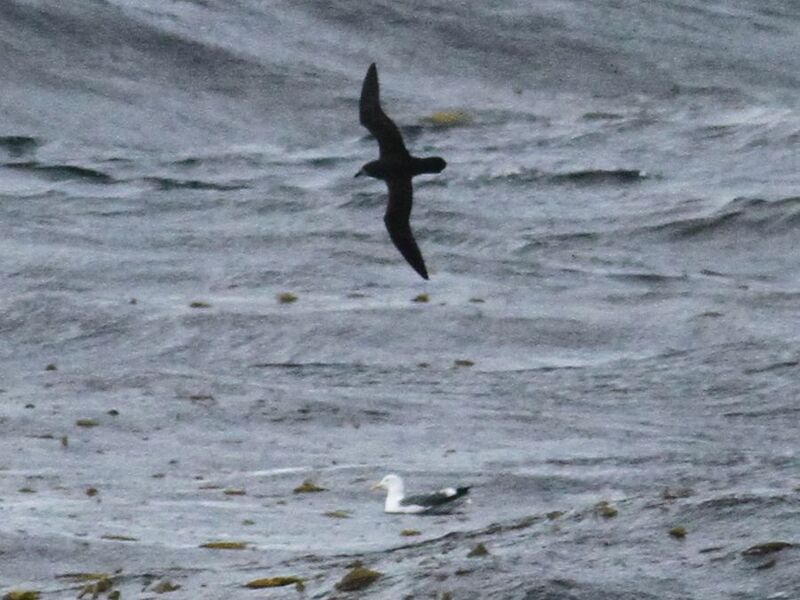 In the ABA area Great-winged Petrel has only been recorded from California and is currently categorized as a Code-5: Accidental which means there are five or less records in the ABA area. This record would constitute the 6th or 7th record dependent on the acceptance of the September 2011 record. 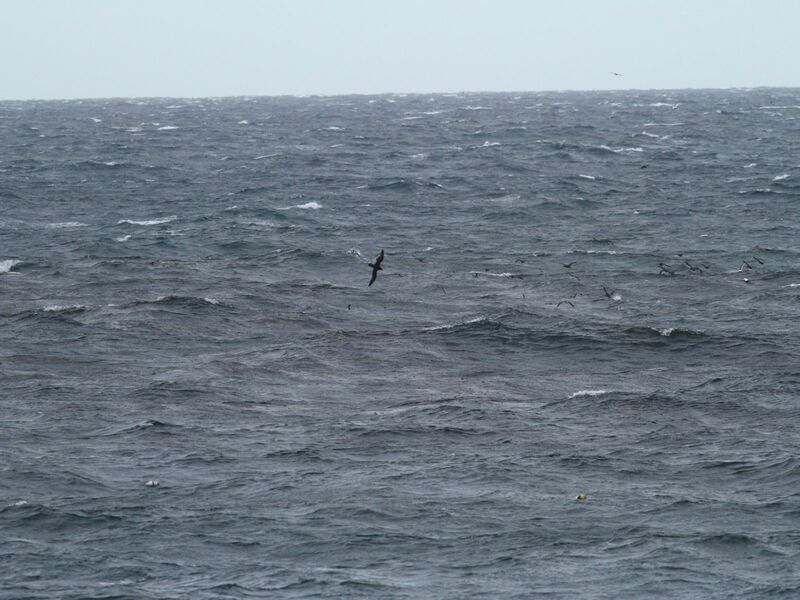 It is the first Great-winged Petrel to be seen from shore anywhere in the ABA area. 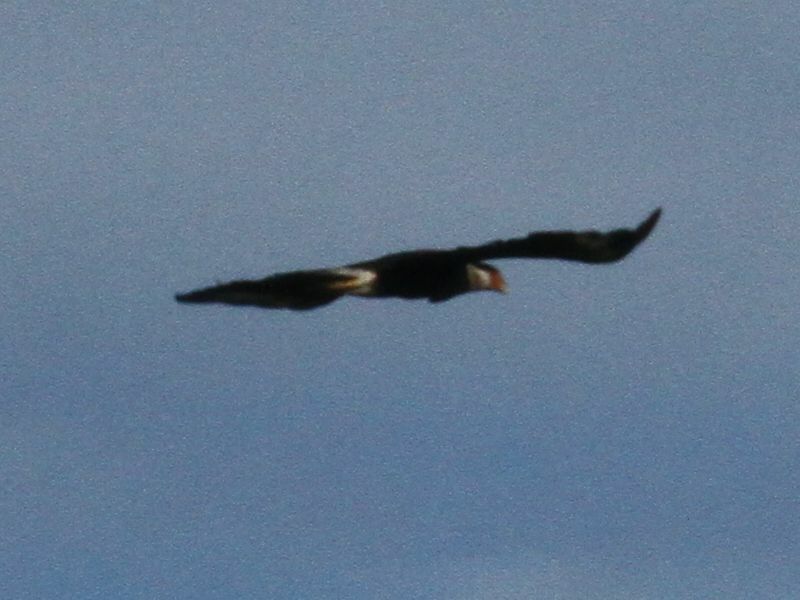 [All photographs copyright, Gary Nunn 2012] – I spotted this Crested Caracara Caracara cheriway at the A&G Sod Farm on 02 Sep 2012, it was literally flying just fifty yards north of the Mexico border fence. I was investigating passerines in the moist river bottom herbage when I looked up and it had just flown right by me heading west! I managed to scramble for a couple of distant documentation photographs as it veered around north and headed directly to the main Dairy Mart Pond. I last saw it disappearing behind the willows with a small explosion of corvids exiting the area. This individual is most likely the same one I observed here almost one year ago on 25 Sep 2011. As it turned out only one of two records for the state of California in 2011, the other record coming from Point Mugu Naval Air Station, Ventura County, first seen on 19 Dec 2011. This raptor is quite a rarity to connect with in California, at least in the last couple of years. 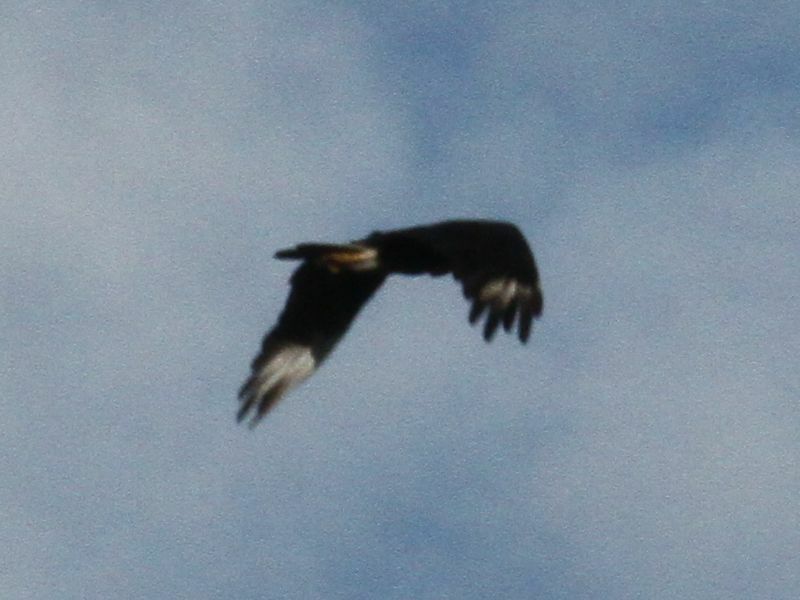 The very dark coloration, black really, shows this is an adult Crested Caracara since the juvenile plumage is more pale barred and grey-brown overall. 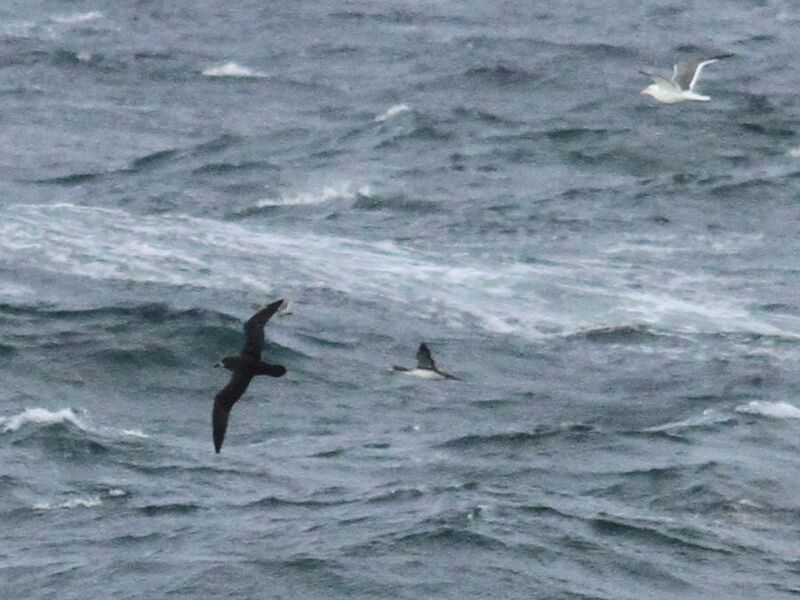 The white primary patches, “windows”, can be clearly seen in flight of this long winged powerfully flying raptor. 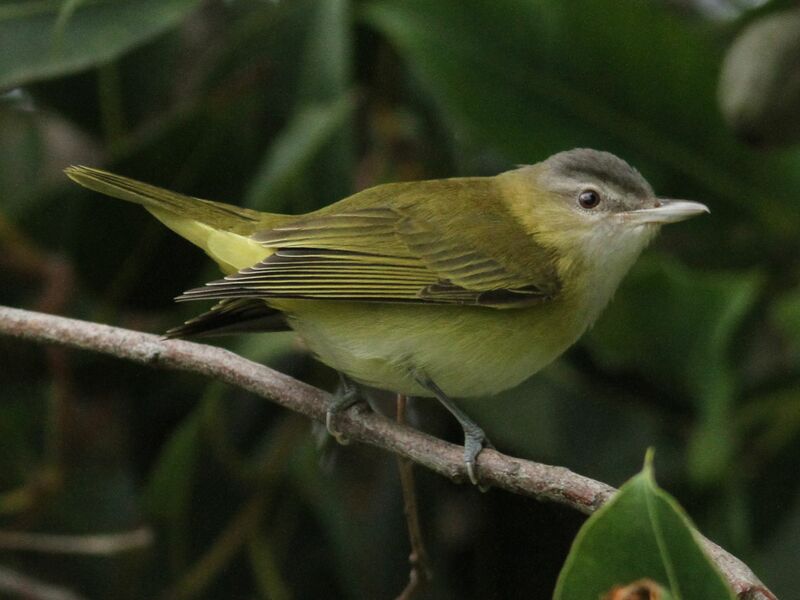 The black capped head with pale cheeks and pink facial skin set off the pale horn, or bluish, colored bill. Noticeable also are the prominent yellow legs and long black tail accented with the white narrow band on the upper tail coverts. Later in the day it was seen again by additional observers at the Dairy Mart Pond perched on a dead snag. 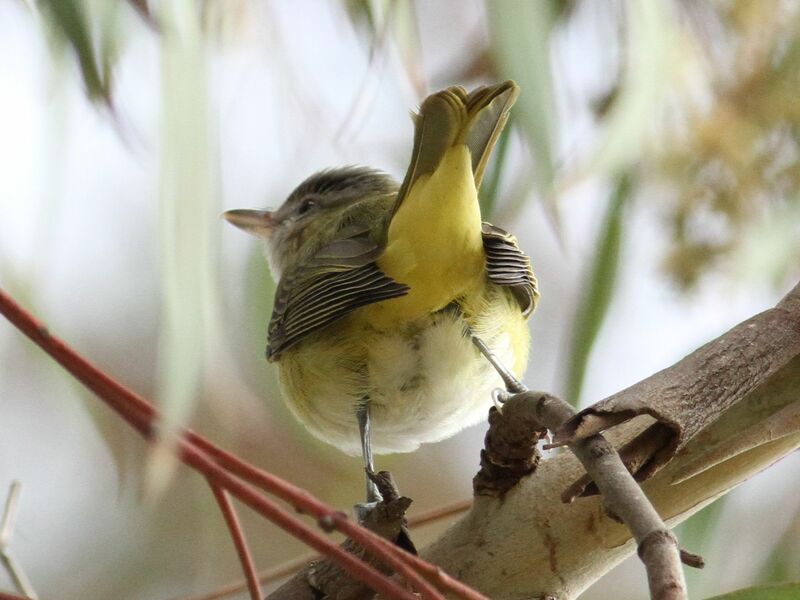 This bird may be the same individual seen on-and-off over several years by many observers between 2006-2009 favoring the same area of the Tijuana River Valley. [All photographs copyright, Vic Murayama 2012] – The extensive weed and brush lands of the Tijuana River Valley (TRV) attract an impressive array of raptors both on migration and as breeding residents. This year the numbers of White-tailed Kite Elanus leucurus seem to have skyrocketed with many juveniles around “getting their wings”. 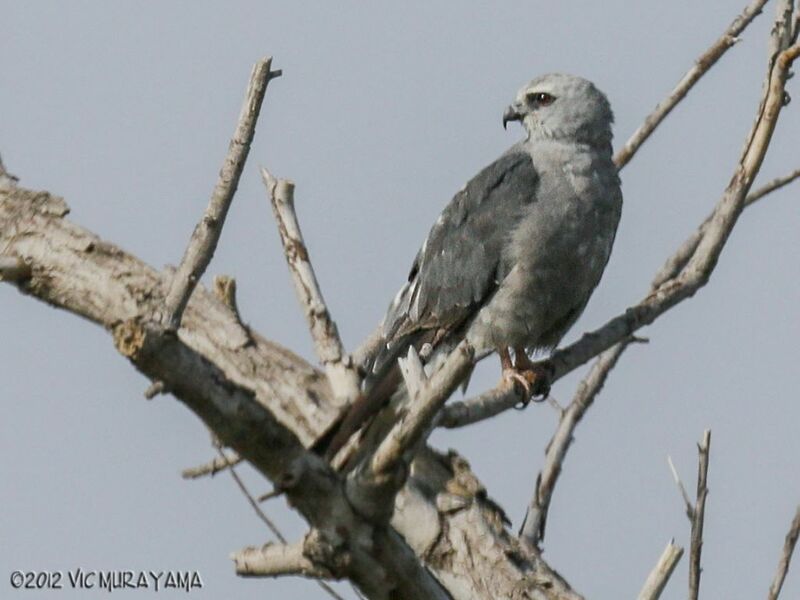 News came however, late on 01 August 2012, that Paul Marvin, birder and part time San Diego resident, had discovered and photographed the much rarer Mississippi Kite Ictinia mississipiensis, perched on a snag no less, at the Dairy Mart Ponds. Now that is a real find! The Dairy Mart Ponds, a last chance exit off of Highway 5 before the Mexico border, support an abundance of dragonflies and have lots of dead tree snags, so this insect-snatching aerial predator was in the right place for a secure meal! In fact this area, a wide swath of mixed riparian land included in the Tijuana River Valley Regional Park, has a history of attracting this rare eastern raptor with several earlier records here of Mississippi Kite. 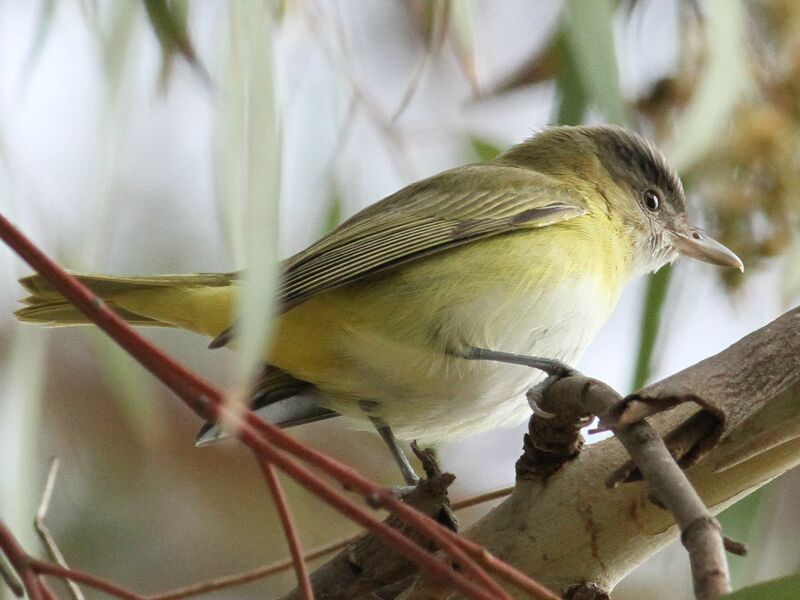 San Diego resident, and bird photographer, Vic Murayama, took these detailed photographs on 02 August 2012, the morning after it was first discovered. A smart move since this was the last day it was seen and with an early departure! 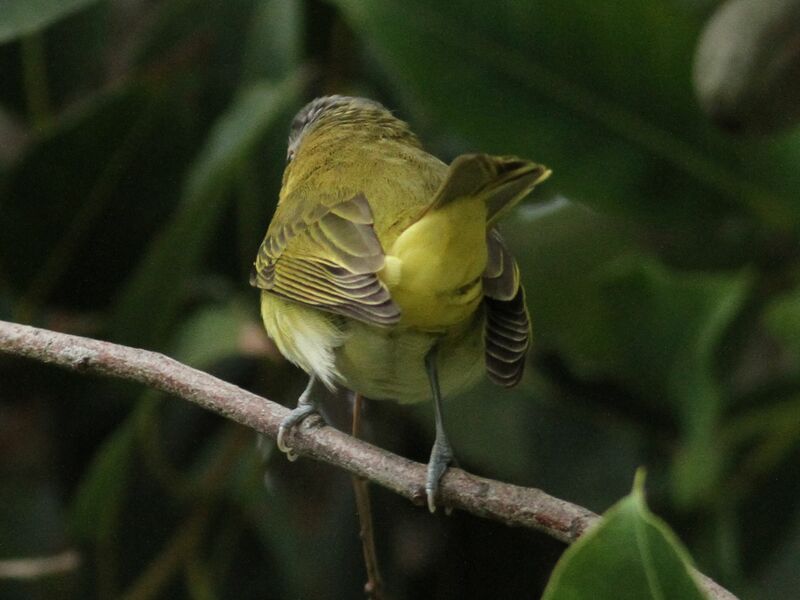 Photographs taken in flight reveal this is a first year bird retaining juvenile flight feathers, for example the barred tail feathers, which can be seen with many tattered or missing pieces. 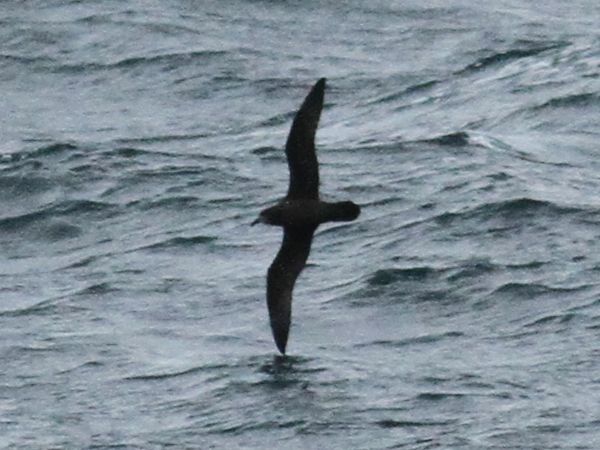 It has molted some fresh new inner primaries which appear darker than the remaining juvenile outer primaries and secondaries. The body appears completely molted to fresh adult type plumage. 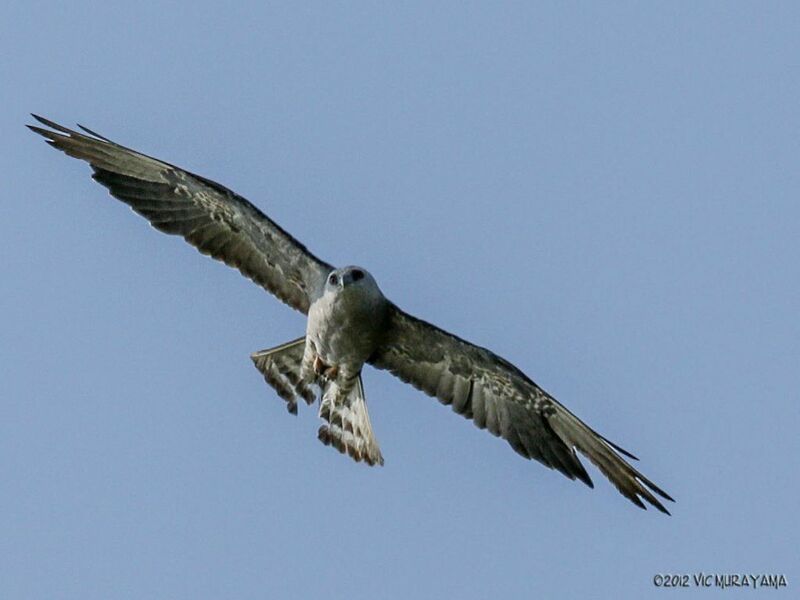 The California Bird Records Committee has accepted 19 previous records of Mississippi Kite from the state including three from San Diego County. 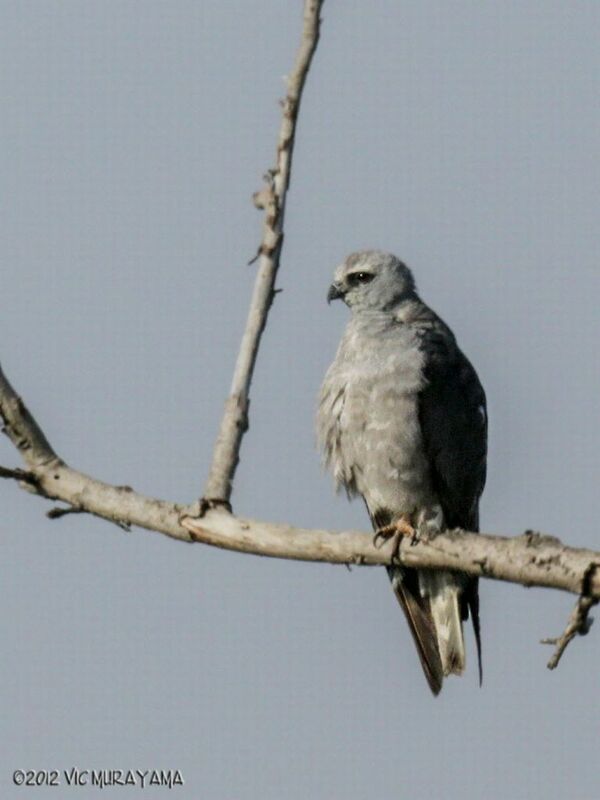 Mississippi Kite is considered a Category A rarity in San Diego County by the San Diego Field Ornithologists. 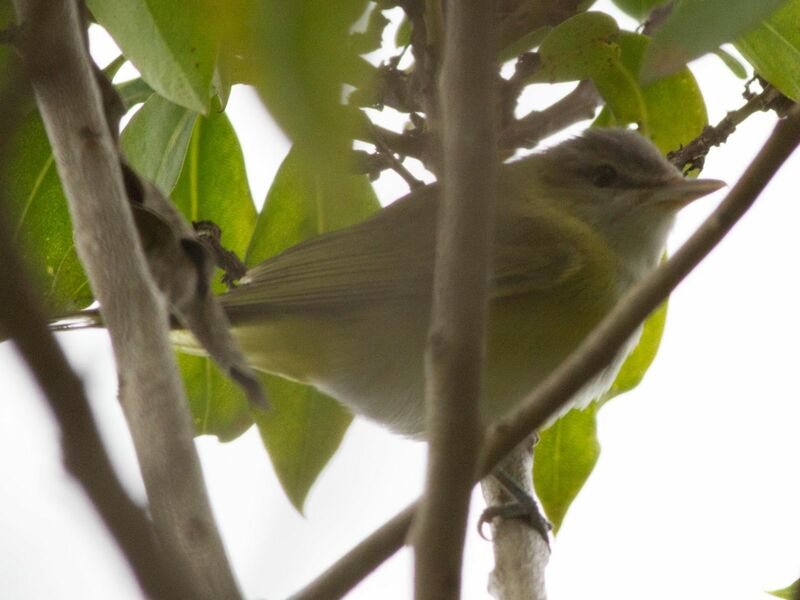 The species was last reported in the county in September 2008 at Point Loma. I took a visiting birder from Cuba down to La Jolla Cove to seawatch but it was so dull we decided to cut our losses and see what was happening out at Fort Rosecrans National Cemetery, Point Loma. I had already walked along the east fence-line, just south of the eucalyptus grove, once, and decided to backtrack that way before leaving the cemetery. It is probably the best area for birding around the cemetery and there is often turnover of birds coming through this attractive large stand of trees and moving off to smaller trees scattered down the fence-line. I was about to leave when I heard a very loud song, a sort of “chik-brrrr” followed by some rattling notes, coming from a small Myoporum tree. I knew immediately this had to be something unusual and moved in on the tree. The call came again a few times and I eventually caught site of the source of the sound, a small bird just beneath the tree canopy. 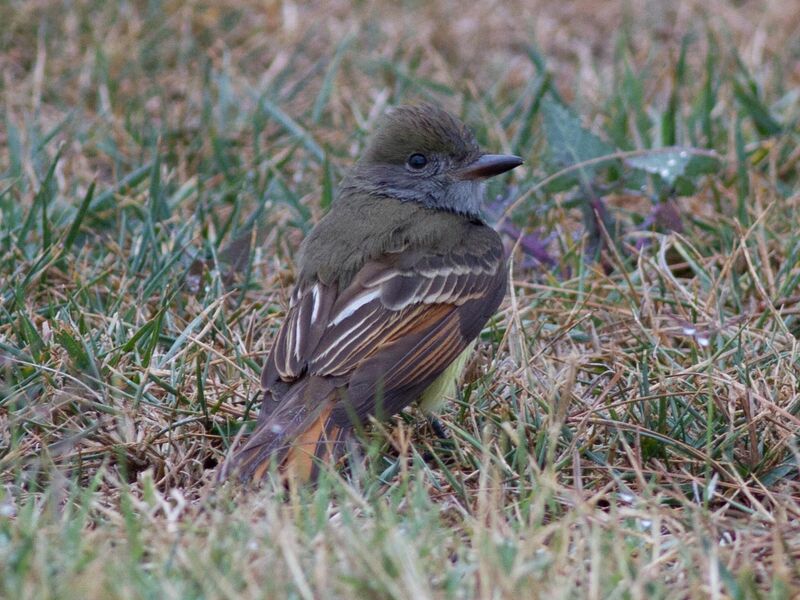 The sun was right behind the tree, terrible back-lighting, but I noted a rufous brown tail – interesting. 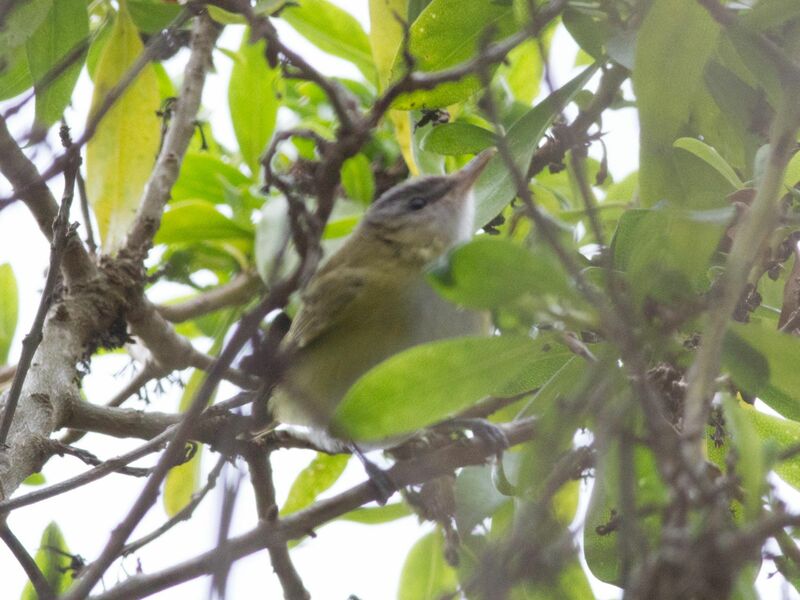 Following the bird between trees, I eventually got excellent looks and was pleased to discover a White-eyed Vireo Vireo griseus. It was a little curious and came and checked me out briefly. For the next few minutes I played hide-and-seek with it, managing to obtain just a single photograph through the wire fence. 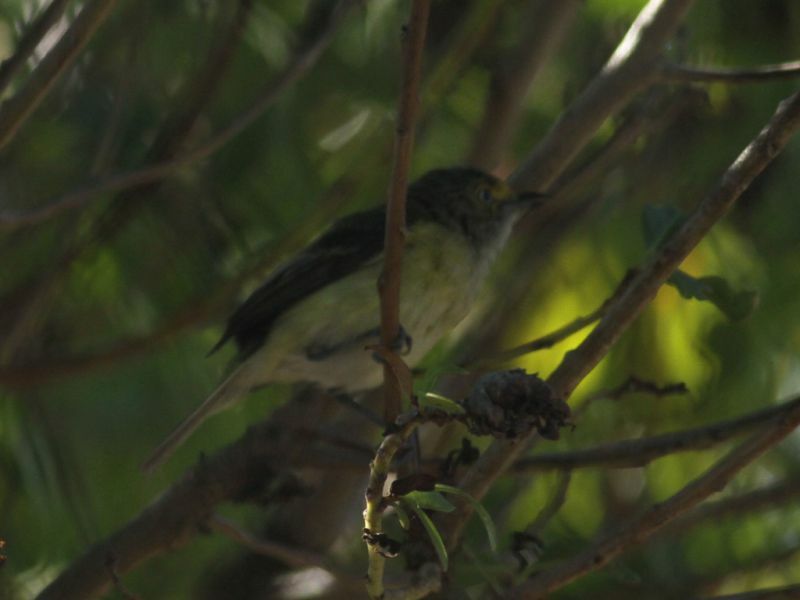 White-eyed Vireo is a California Bird Records Committee (CBRC) review species, so I was very happy to obtain the one rather underexposed photograph. 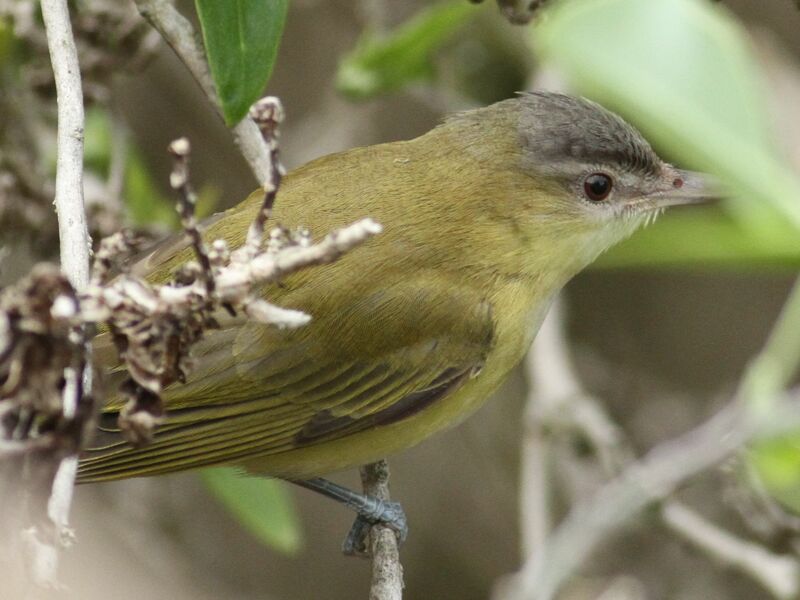 Typical field characters of this enigmatic eastern vagrant can be recognized – pale grey-white iris, bright yellow lores that extend to ring the eyes, dark horn colored bill with paler bluish coloration along mandible inner edges, green upper-parts, pale whitish wing bars (evidently very worn) on the greater and median secondary coverts, pale greyish-white underparts with bright yellow areas on chest sides and flanks, a quite narrow “spindly” looking tail, a warm brown color when back-lit by sunlight, most easily seen when it fanned tail (a feature I was unaware of, but confirmed by online photographs), and robust dark horn-grey colored legs. 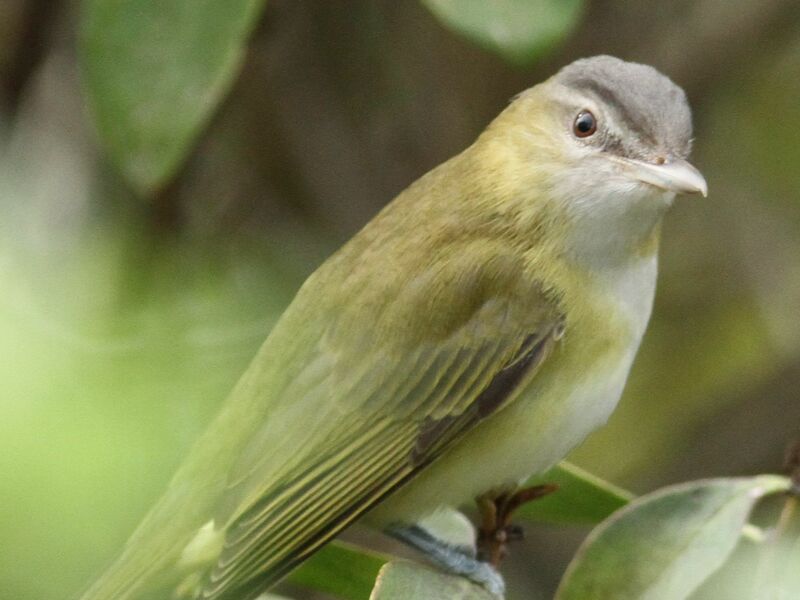 Searching the CBRC database uncovered five accepted records of White-eyed Vireo in San Diego County. The most recent was a bird seen May-June 2011 at the San Luis Rey River, Oceanside. 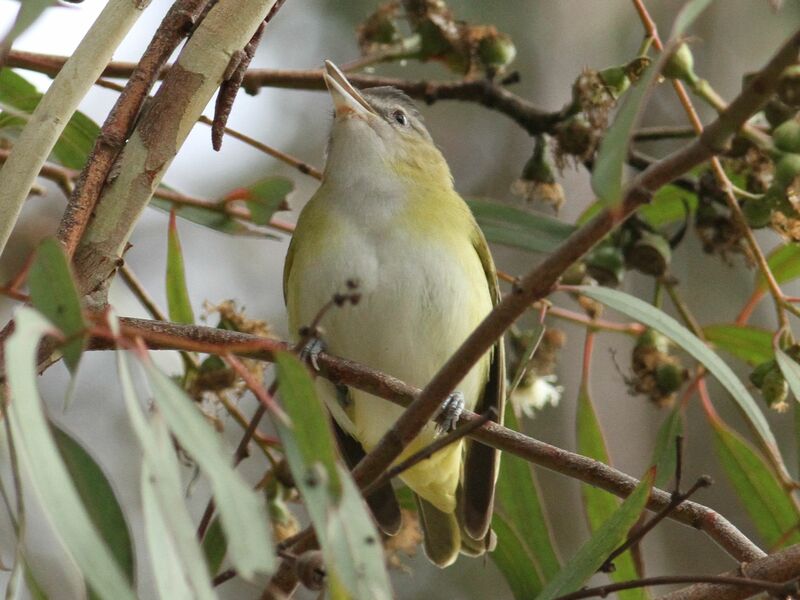 San Diego Field Ornithologists ranks White-eyed Vireo as a Category A rarity in the county. 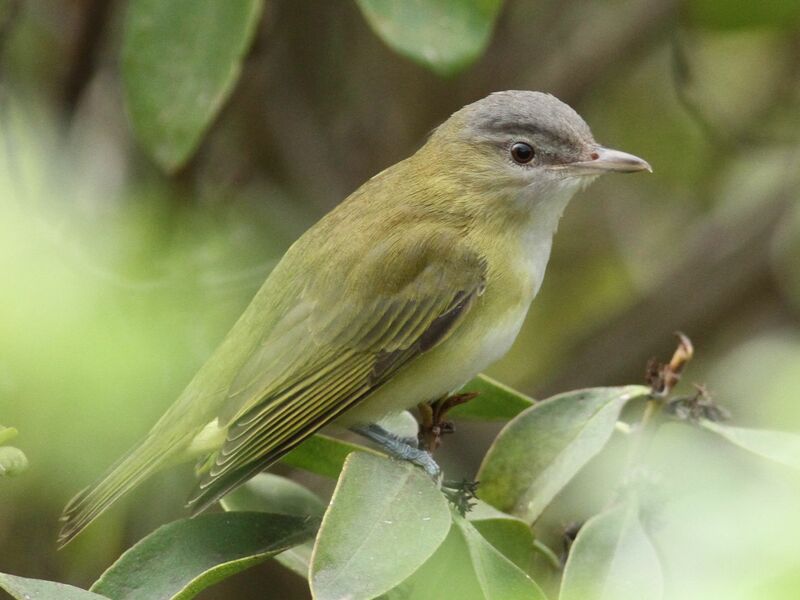 By sheer coincidence, I had also seen an earlier accepted record of White-eyed Vireo, in the exact same tree at Fort Rosecrans National Cemetery, almost four years ago on September 18, 2008. 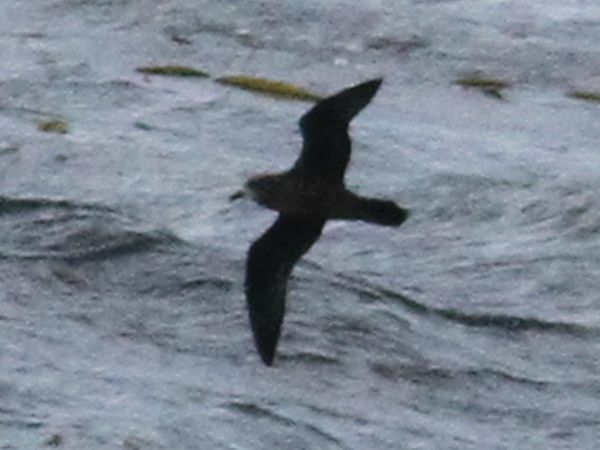 [Update, 28 Aug 2012] – several weeks passed by without the bird being seen but on 14 Aug 2012 it was observed again at the same location by Jim Pawlicki. 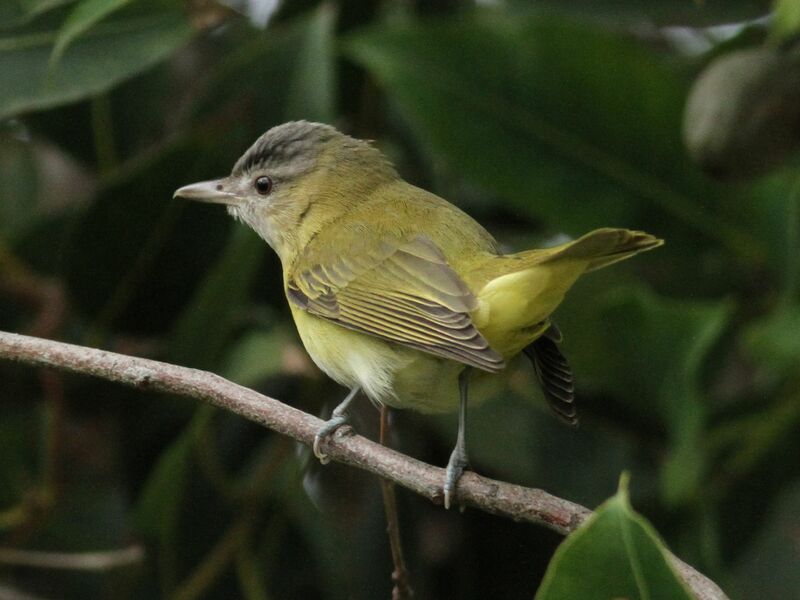 It has been observed at least until August 28, 2012 by numerous birders.